but what do we do little mentshelech understand? 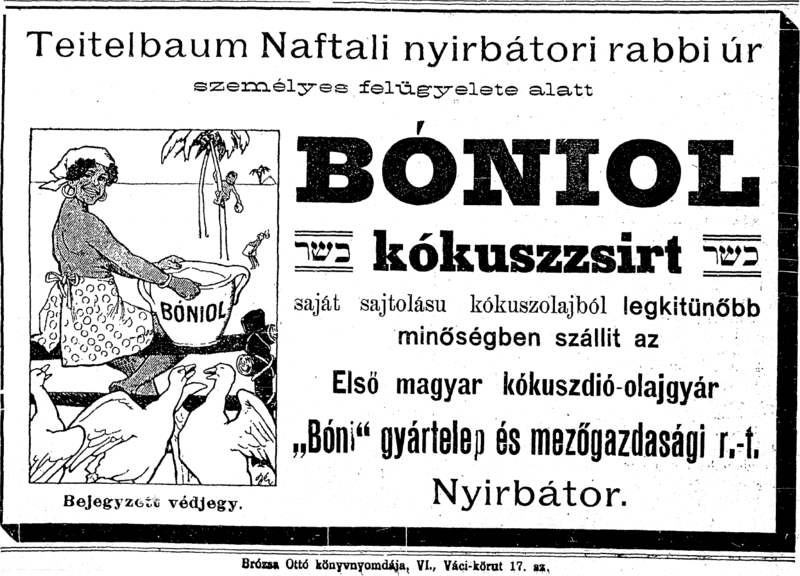 We spoke here about the wording of the coconut oil advertisement, and how all it said was כשר. Nothing more. No מהדרין or מהדרין מן המהדרין. From this תשובה in דברי יואל we can see why this was the case. I know what you'll say, but I still post this. א נייער אויבער חכם against "The Cult of Uman"
Well, actually that's not the entire point of the letter. I have yet to discover the reason for him writing this letter, but it seems that the AJ "accused" RSYW of saying something in an article and in an interview with an AJ correspondent like "the Holocaust being G-d's punishment on the irreligious," that "G-d has no connection to the irreligious and unaffiliated," or something to that effect... It would also seem that the late Gershon Jacobson probably dubbed Rabbi Weinberg a "Misnaged," as they were wont to do. So RSYW, scion of a proud Slonimer Rebbishe family, responded in kind. A very kind and gentle letter, yet one that makes strong points. I have yet to find out whether or not the AJ actually printed this letter. Read for yourselves and see what you can come up with. We thank the Agudath Israel of America archives for the letter. 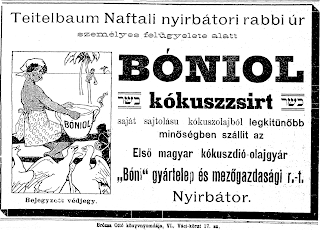 "First Hungarian Coconut Oil Factory"
Looks like back then they weren't so concerned with 1) the content of the advertisement, and 2) That things be more than כשר. No mehadrin or Mehadrin min haMehadrin. Just plain כשר. You want something more than that make it yourself. Or maybe there was no חשש of hirhur in this case? Then again maybe this newspaper was like in the 5TJT or Jewish Week or Forward equivalent, a place that had more lax standards. Tough to know what they were thinking back then. But who knew that they mass produced stuff back in Europe! Reb Shmuel Levitin was the zkan and most respected Lubavitcher chossid from his arrival in NY in 1938 until his passing on 11 Elul תשל"ד. The Rebbe had great derech eretz for Reb Shmuel as well and would write his name as such: הרש"ל. There are countless such stories. 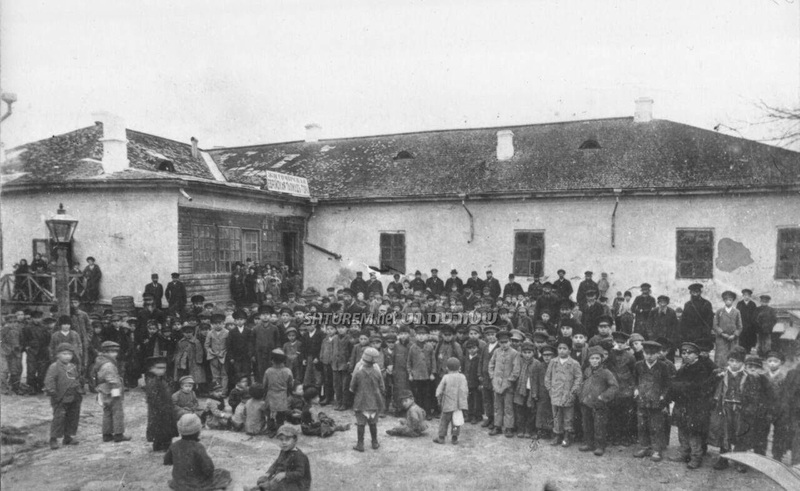 Reb Shmuel was Rov in Rakshik, Lita until he left Europe. 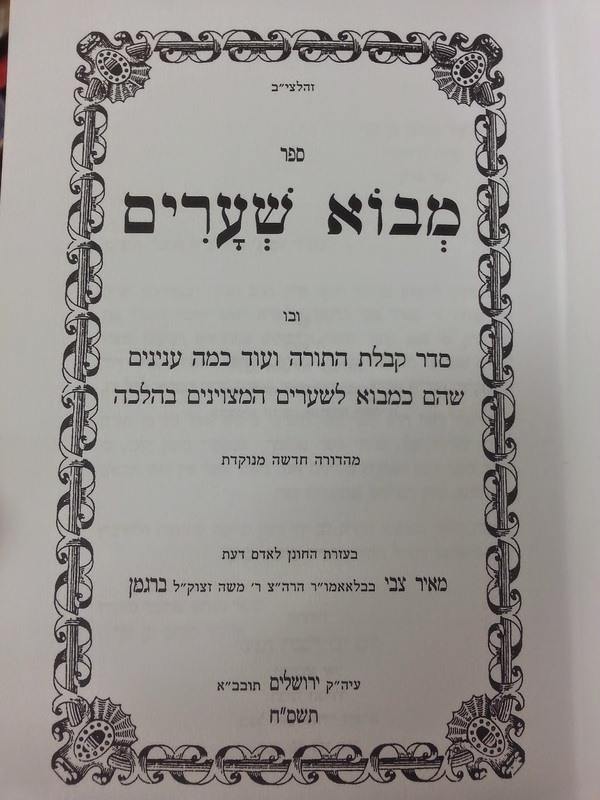 He was a grandson of the great Reb Gershon Ber of Pahar, and would call himself a 5th mekabel of the Alter Rebbe. 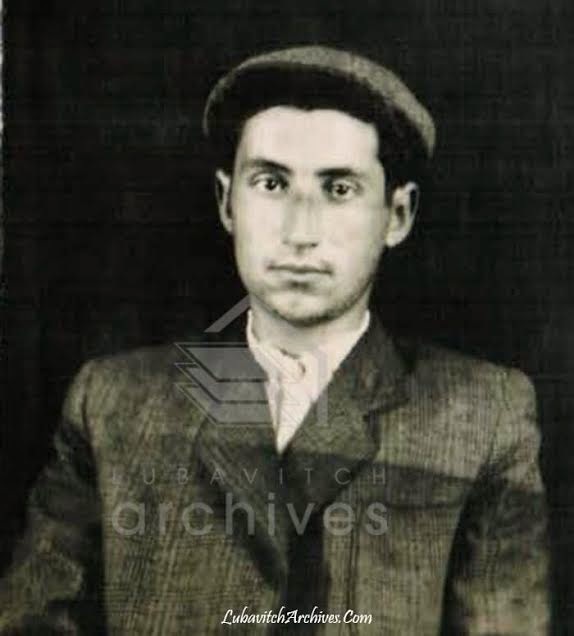 He was sent to the US by the Frierdige Rebbe as a שד"ר in 1938 and was thus saved from the horrors of WWII, but he lost his wife and several of his children, r"l. In Crown Heights he was the Rov of the Lubavitcher shul - 770, until his passing. He was the first when it came to kibbudim, went along with the Rebbe to shiva calls or to visit the camps, etc. Bekitzer, he was the man. 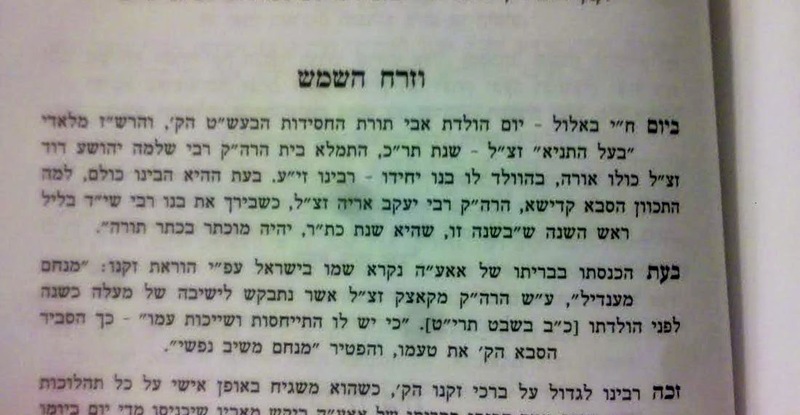 He was already a "zach" בחייו of the Rebbe Rashab, being sent on shlichus to the Republic of Georgia, where he exhibited great mesiras nefesh and brought many closer to Torah, as well as to Chassidus. Anybody who came in contact with him will tell you one thing for sure, he was a great פקח. Anyway, we all know that in Lubavitch we say Yisgadal VeYiskadash, not "deil" and "deish." 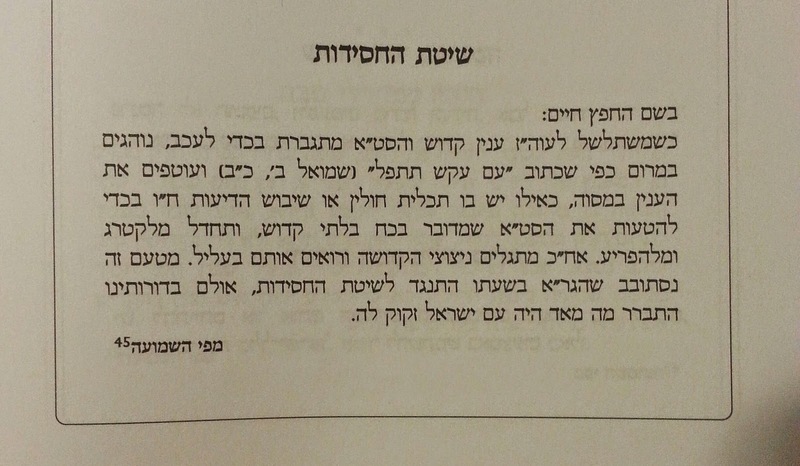 Reb Shmuel, however, had this minhag to say "deil" and "deish," which was apparently how the Rebbe Rashab would say it. 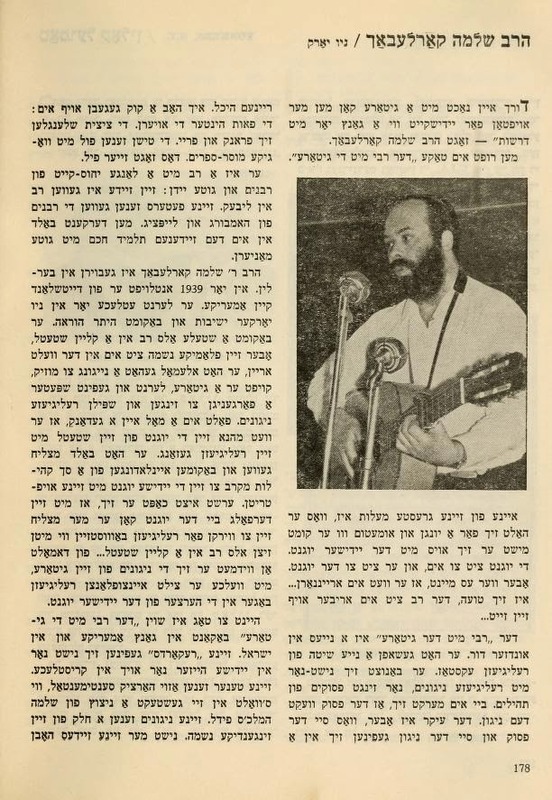 Here we bring you a recording from Reb Shmuel davening for the amud and being oleh leTorah in the summer of 5725/1965, where we can hear saying it as such. על הקול קורא להחזיק 72 דק' מוצ"ש. בהזמנים בהלכה ח"ב עמוד תע"ד כתוב שכן היה אסיפה. ראה מצורף צילום הקול קורא הישן שנדפס בהזמנים בהלכה ח"ב עמוד תע"ה, ושם נדפס שהאסיפה התקיימה באור ליום ד' טהרה ד' ניסן תשי"ד. שים לב שהשמות ע"פ סדר א"ב, ושמו של הרבי מסאטמאר מגיע בדיוק לתחילת השורה האמצעית. ובמפתח הכשרות של התאחדות (מצורף) הדפיסו ג"כ את הקול קורא הזה באותיות חדשות, ושם הגדילו את שמו של הרבי מסאטמאר. והבן. גם בשו"ת ברכות שמים או"ח סי' ע"ז כתוב שהיה אסיפה. האדמו"ר מוויזניץ-מאנסי מכחיש שבכלל היתה אסיפה, רק שסיבבו לאסוף חתימות, כנראה שלא קראו לו כי ידעו שיתנגד. One thing we see about the Vizhnitzer Rebbe shlit"a is that he sticks to his guns and never backs down. No matter what kind of pressure from how many people. No matter what his shver does or expects from him. That kind of approach is sometimes useful, I suppose. You guys are always telling me how the Lubavitcher Rebbe always took things from others and made as if they were his own, original ideas. You cite examples and "proof" such as the entire "Shlichus" system, which he took from the Novardokers, which he got from R. Hodakov, the man from Riga who was educated by Reb Yoel Zaitchik. If only you'd know the half of it! 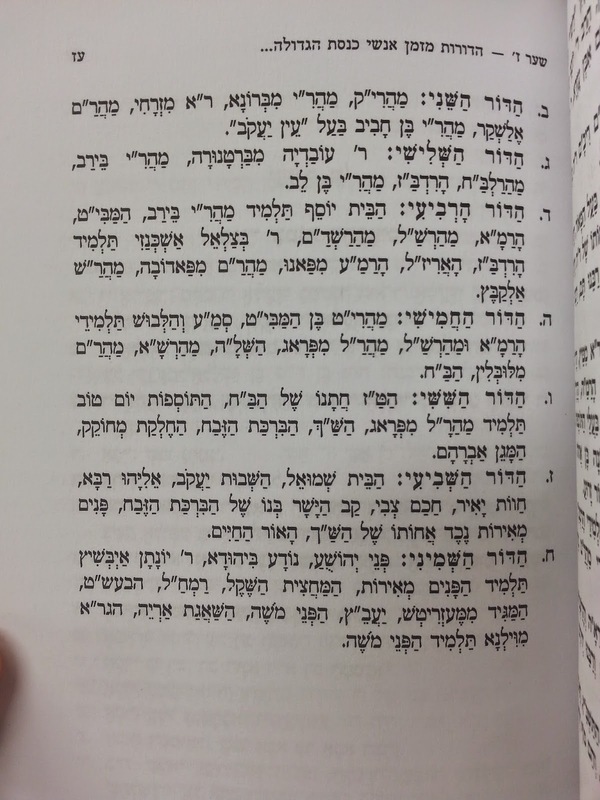 Here's another thing that we took from the Litvakkes, Mivtza Ksivas Sefer Torah. Except the Rebbe didn't go as far with מבצע כתיבת ספר תורה as Reb Chaim Ozer did when he initiated the writing of the sefer Torah after the passing of the Chofetz Chaim. 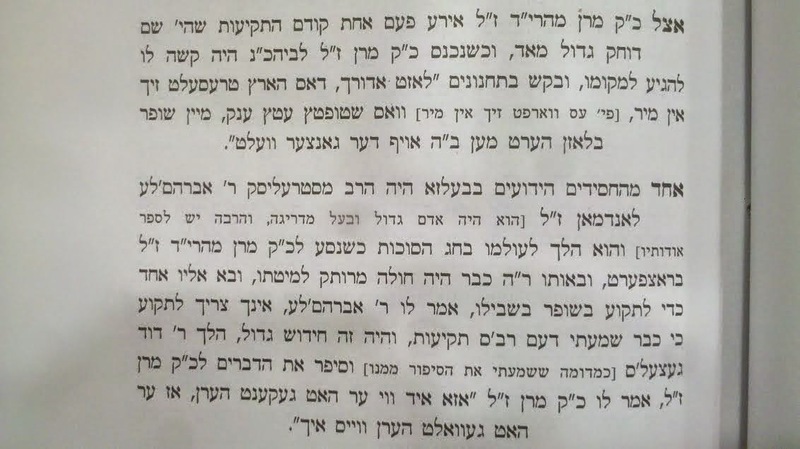 RCO calls it a Mitzvah, and tells us that by buying a letter we fulfill the mitzvah, which customarily has been done בשותפות, the Rebbe didn't say that having an אות was being מקיים a מצוה. Or at least that wasn't the idea behind writing the sifrei torah, which continue to this very day. It was simply a means to unite Jewish children by getting each one a letter in the ST. And whoever buys a letter will have his name recorded in a journal which will be placed on the CC's place! 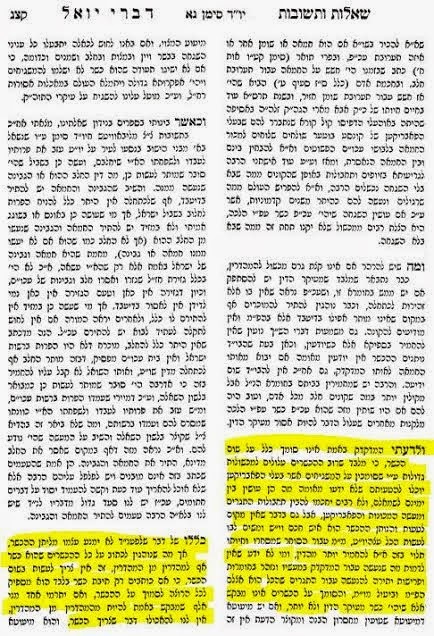 Another Chabad plagiarizing act, placing new Chabad seforim and pidyonos at the Rebbe's seat in the cheder haYechidus, just like they did with the Chofetz Chaim. 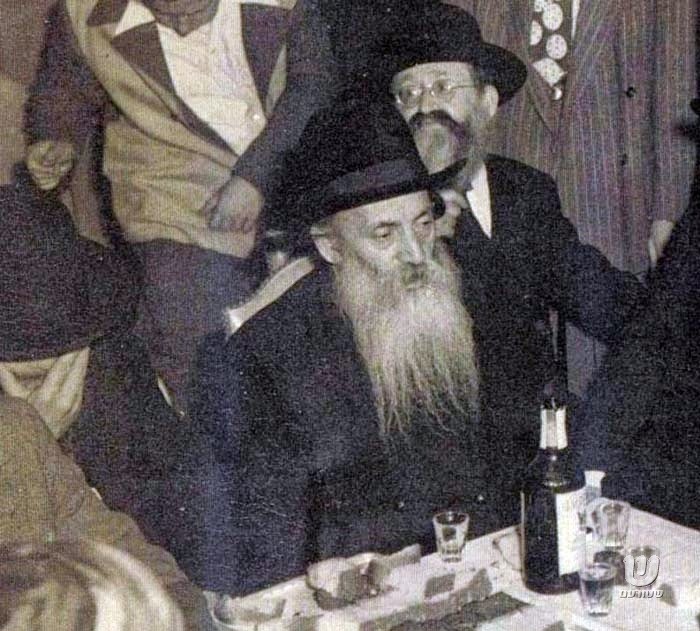 Reb Moshe was son of the late מומע שרה, who helped hundreds of families of Chassidim leave the USSR in 1946, including the Rebbe's mother, Rebbetzin Chana Schneerson. He was arrested together with his mother and sent to Siberia. 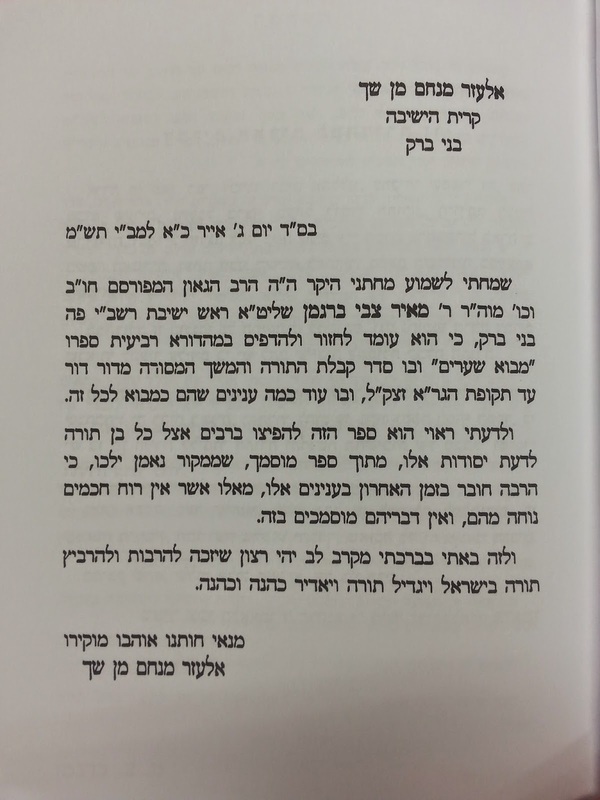 Reb Moshe was a proficient talmid chochom and was especially boki in ד' חלקי שו"ע. 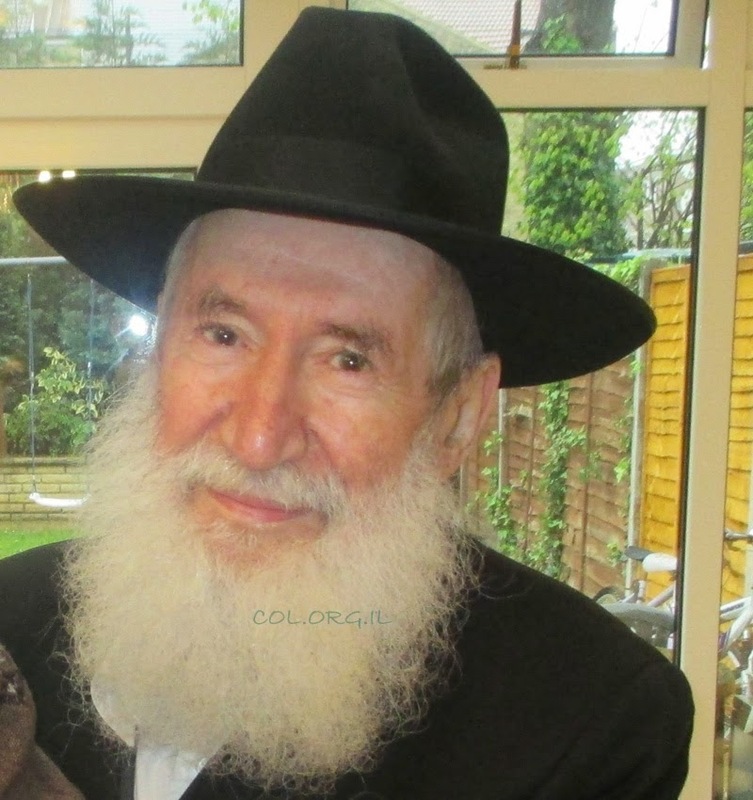 After he was allowed to leave the USSR in the 1970s he settled in London, where his brother יבלחט"א Reb Yehoshua lives. 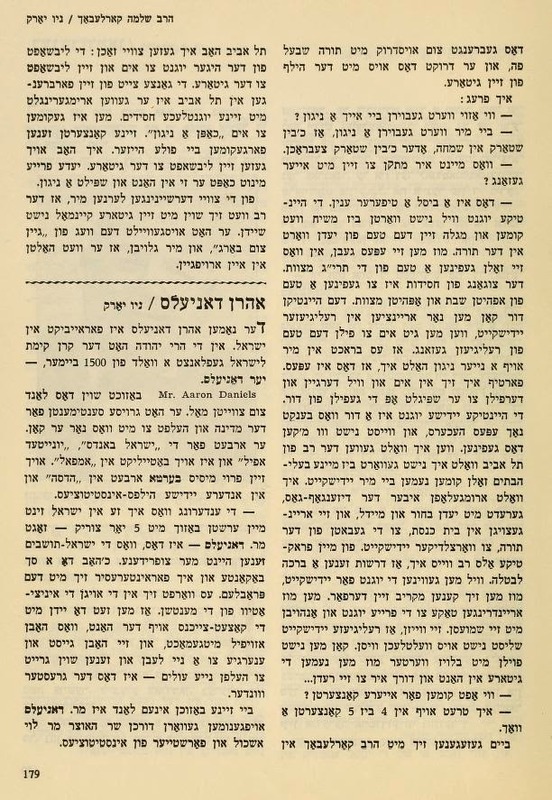 Upon traveling to New York to spend Yom Tov with the Rebbe, he was asked by the Rebbe to visit Reb Moshe Feinstein and רעד אין לערנען with Reb Moshe, to show how yidden who were raised in the USSR and were imprisoned still managed to grow in Torah. 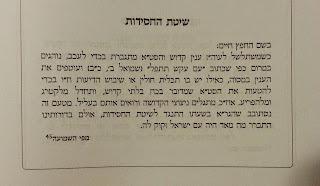 The question is: can he - young ברוכי - lay claim to the throne, since his zeide's claim to the throne of Munkacs was only since he was married to the daughter of the Munkatcher. Once he married his second wife do the descendants of wife 2 still have some sort of claim? Or do they need to suffice with the Pshischa/Biala/Partziva dynasty? Maybe Dayan Rosenberg of recent Bobover din Torah fame can answer that... 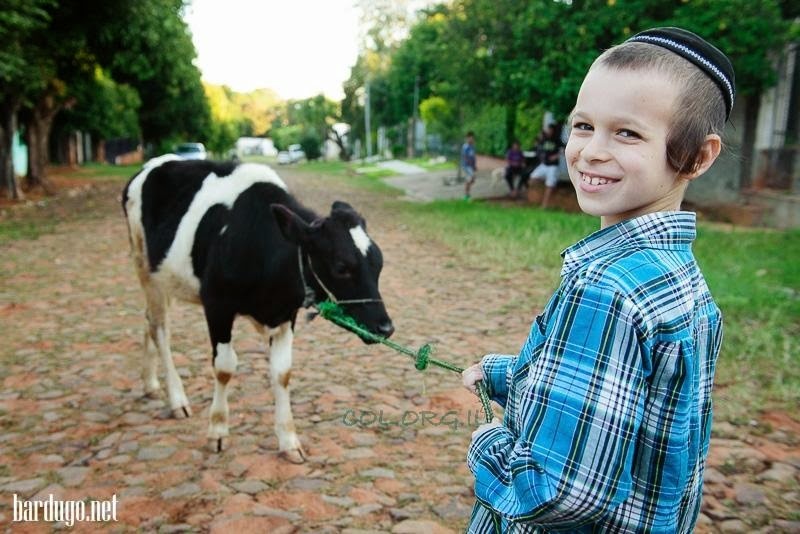 But in any case it's nice to see a young ד"לי kid being educated about his ancestors, and not just about RAYHK etc. And it seems like he enjoys playing ball and washing dishes more than being a Rebbe, as any kid would. Nice pics and videos of Reb Burech'l here. May we hear good news about ברוך יהושע ירחמיאל ראבינאוויטש the second.